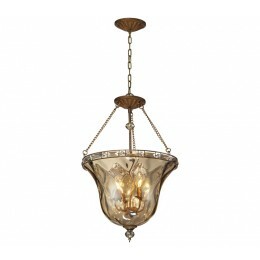 The Allure Of The Cheltham Collection Is The Design Of The Champagne Plated Glass Which Has A Symmetrical Ripple Pattern That Exudes A Brillant Array Of Light. Further Accentuating The Appeal Is A Band Of Alternating Champagne And Clear Crystals That Adorn The Top Of The Glass. The Metalwork Is Finished In Mocha Which Complements The Hue Of The Glass. 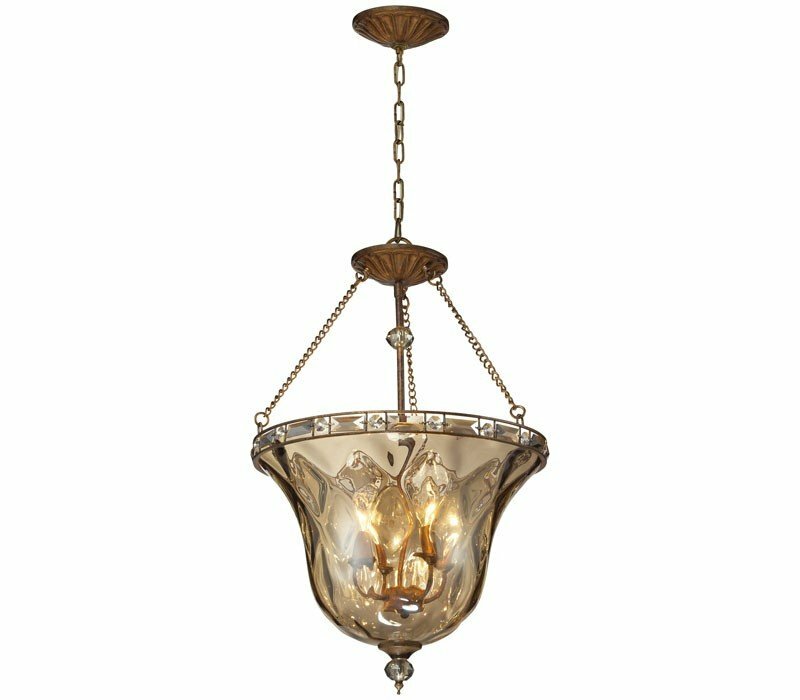 The ELK 46022/4 Cheltham collection Close to Ceiling Lighting in Mocha uses Incandescent light output and brings Antique style. The total wattage is 240 and the voltage is 120 volts. The ELK Lighting 46022/4 requires 4 bulbs (not included). Additional Information: Shade-Champagne Plated Glass.